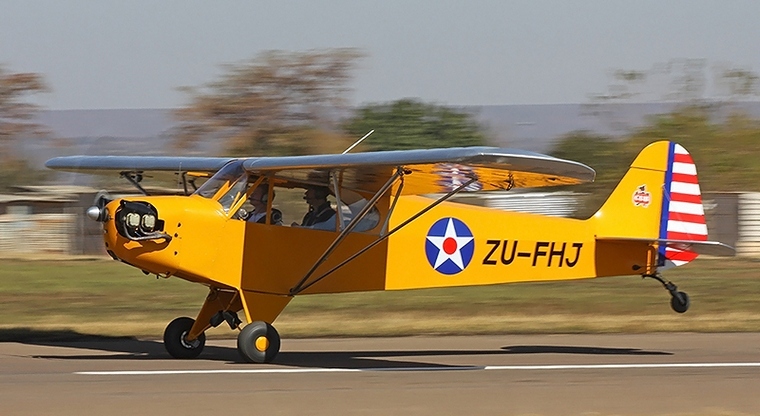 The Cub was originally intended as a trainer and saw great popularity in this role and as a general aviation aircraft. Due to its performance, it was well suited a variety of military uses such as reconnaissance, liaison and ground control, and was produced in large numbers during the Second World War as the L-4 Grasshopper. Large numbers of Cubs are still flying today. Notably Cubs are highly prized as bush aircraft. 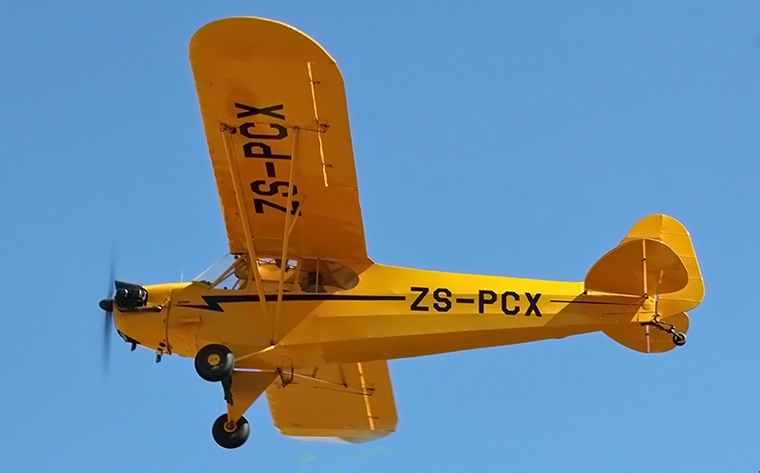 In 1936, an earlier Cub was altered by employee Walter Jamouneau to become the J-2 while Taylor was on sick leave. When he saw the redesign, Taylor was so incensed that he fired Jamouneau. Piper, however, had encouraged Jamouneau's changes, and hired him back. Piper then bought Taylor's share in the company, paying him US$250 per month for three years. Although sales were initially slow, about 1,200 J-2s were produced before a fire in the Piper factory ended its production in 1938. After Piper moved his company from Bradford to Lock Haven, the J-3, which featured further changes by Jamouneau, replaced the J-2. The changes mostly amounted to integrating the vertical fin of the tail into the rear fuselage structure and covering it simultaneously with each of the fuselage's sides. The rearmost side window's shape was changed to a smoothly curved half-oval outline, and placing a true steerable tailwheel at the rear end of the J-2's leaf spring-style tailskid. 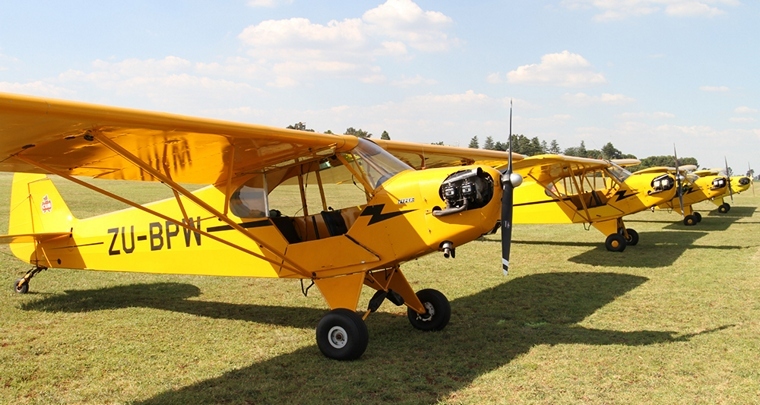 The aircraft's standard chrome yellow paint has come to be known as "Cub Yellow" or "Lock Haven Yellow". Powered by a 40 hp (30 kW) engine, in 1938, it sold for just over $1,000. The outbreak of hostilities in Europe in 1939, along with the growing realization that the United States might soon be drawn into World War II, resulted in the formation of the Civilian Pilot Training Program (CPTP). 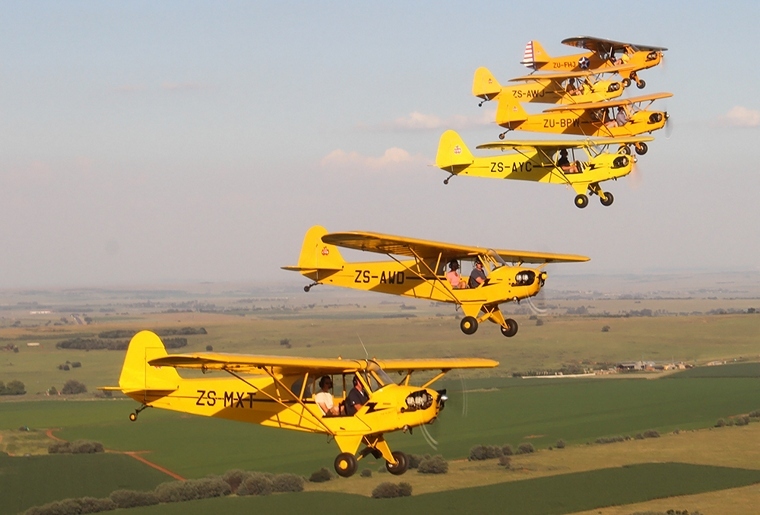 The Piper J-3 Cub became the primary trainer aircraft of the CPTP and played an integral role in its success, achieving legendary status. 75% of all new pilots in the CPTP (from a total of 435,165 graduates) were trained in Cubs. By war's end, 80% of all United States military pilots had received their initial flight training in Piper Cubs. The need for new pilots created an insatiable appetite for the Cub. In 1940, the year before the United States' entry into the war, 3016 Cubs had been built; wartime demands soon increased that production rate to one Cub being built every 20 minutes. Piper produced a military variant on the J3 know as the L4 and were given the nickname "Grasshopper". The only noticeable differences between the J3 and L4 were the use of a Plexiglas greenhouse skylight and rear windows for improved visibility, much like the Taylorcraft L2 and Aeronca L3 also in use with the US armed forces. Carrying a single pilot and no passenger, the L4 had a top speed of 85 mph, a cruise speed of 75 mph, a service ceiling of 12,000 feet and a stall speed of 38 mph, an endurance of three hours, and a range of 225 mile. 5413 L4s were produced for U.S. forces, including 250 built for the U.S. Navy under contract as the NE1 and NE2. The L-4 was used extensively in World War II for reconnaissance, transporting supplies, artillery spotting duties, and medical evacuation of wounded soldiers. During the Allied invasion of France in June 1944, the L4's slow cruising speed and low-level manoeuvrability made it an ideal observation platform for spotting hidden German tanks, anti-tank gun emplacements, and Sturmgesch�tz and Jagdpanzer tank destroyers waiting in ambush in the hedgerowed bocage country south of the invasion beaches. 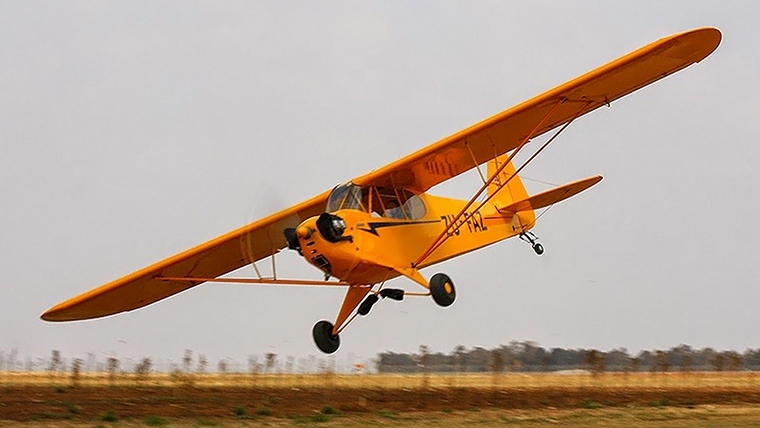 An icon of the era, and of American general aviation in general, the J-3 Cub has long been loved by pilots and non-pilots alike, with thousands still in use today. Piper sold 19,073 J3s between 1938 and 1947, the majority of them L4s and other military variants. After the war thousands of Grasshoppers were civilian-registered under the designation J3. Hundreds of Cubs were assembled from parts in Canada, Denmark and Argentina, and by a licensee in Oklahoma. When the Korean War started in the 1950's the L4 was once again called upon to for military service, the L4 was used extensively by both U.S. and South Korean Air Forces. During the war, the L4 saw service in many of the same roles it had performed during World War II, such as artillery spotting, forward air control, and reconnaissance. Some L4s were fitted with a high-back canopy in order to carry a single stretcher for medical evacuation of wounded soldiers. 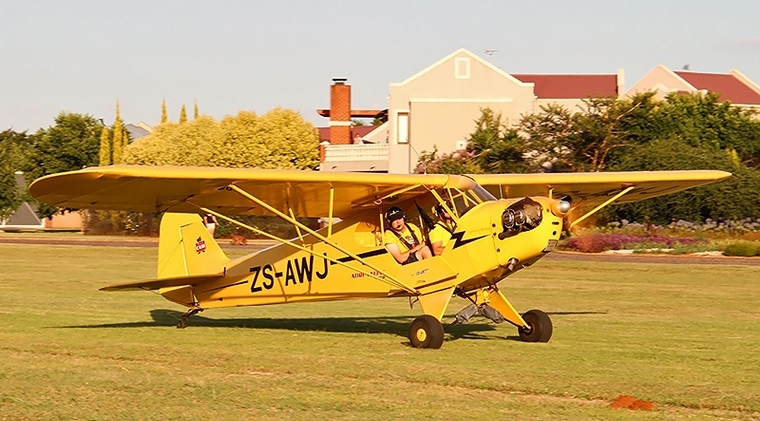 The J3 Cub has become one of the most iconic aircraft in general aviation throughout the world and most pilots strive to fly one at least once in their lives. A pilot recently made the comment "my proudest conversion" when referring to this gracious old lady of the sky many different variants of the J3 were made utilizing engines from almost all the manufacturers worldwide. I was recently invited along to a gathering of six Piper J3 Cubs seeing these gracious old ladies flying was an absolute privilege. 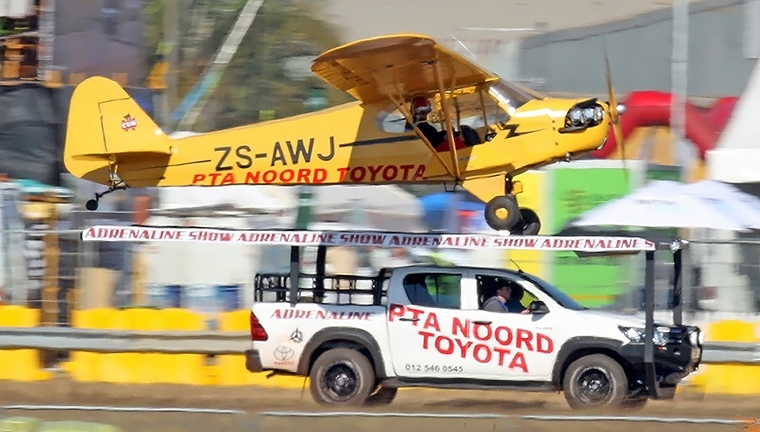 Piper J3's have been used in many roles over the years and recently they have even entered the airshow circuit with truck-top landings and amazing displays of their manoeuvrability. May these wonderful aircraft grace our skies for many more years.